First of August is architecture for a chic Manhattan district’s stylish offerings. 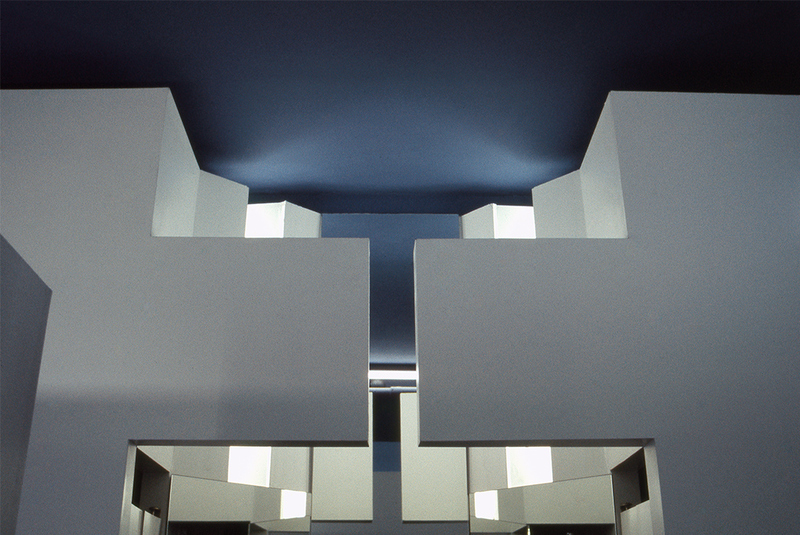 The client envisioned an early ‘lifestyle’ retail store. 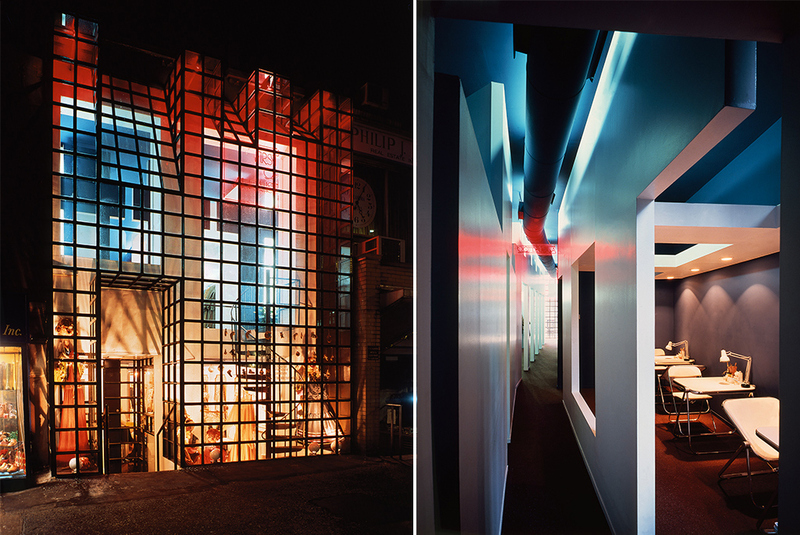 George Ranalli Architect layers a geometric façade over the existing brownstone, extending the building outward, making just enough space for a new space for a unique lobby entrance for upper-floor occupants, and, separately, a street level entrance into the shop and salon on a prime shopping avenue. The charm of urban storefronts of an early era inspired the idea for a modern reinterpretation of the small glass-paned shop window, and agreeable circulation between the first and second floors. The new layer of steel and glass is notched, at the top, defining the original outer wall, and the depth of connection between old and new. 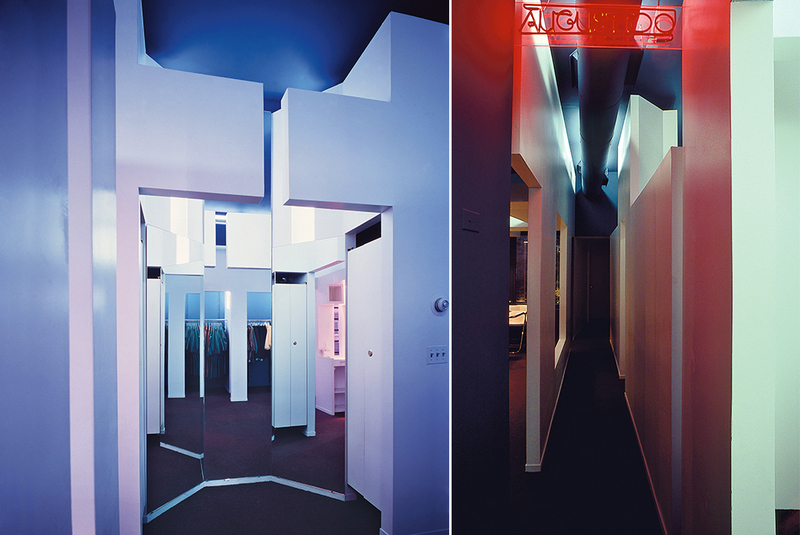 Color and light are woven throughout the interior architecture to dynamic effects. Sunshine fills the study space during the day, and when daylight begins to fade, a play of reflection is visible to passersby. 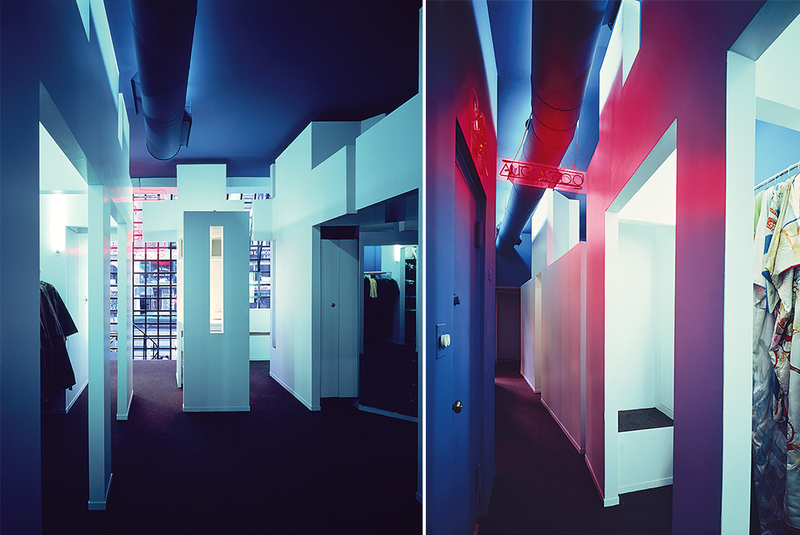 Once the transition to darkness is complete, a colorful undercoating is revealed. In view of the nocturnal street, the building becomes a cityscape within the city. 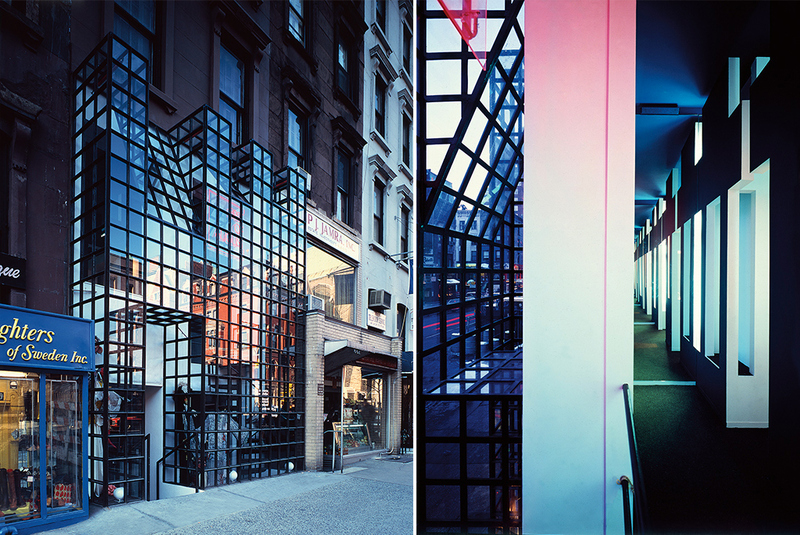 Three walls – the new lattice facade, the old brownstone front, and the interior—balancing solidity and transparency, and the circumnavigation of the entire building, in situ on the city street, for a distinctively urban architecture.